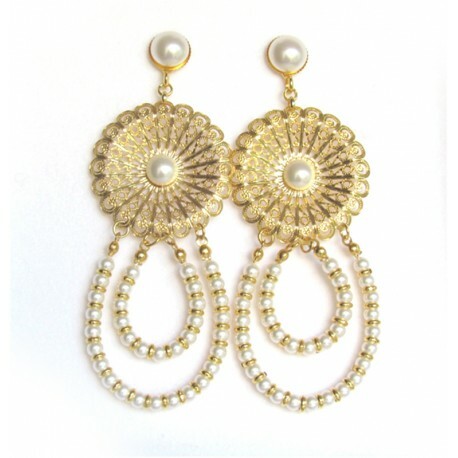 Large gold chandelier earrings, Vintage inspired, made of gold filigree hoops holding a gold and pearls chain. 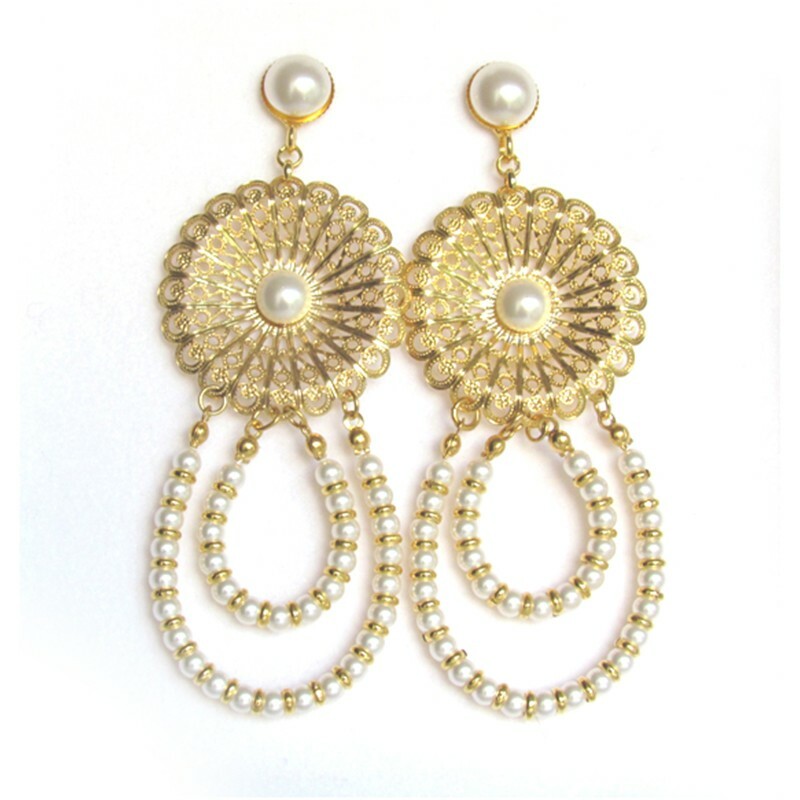 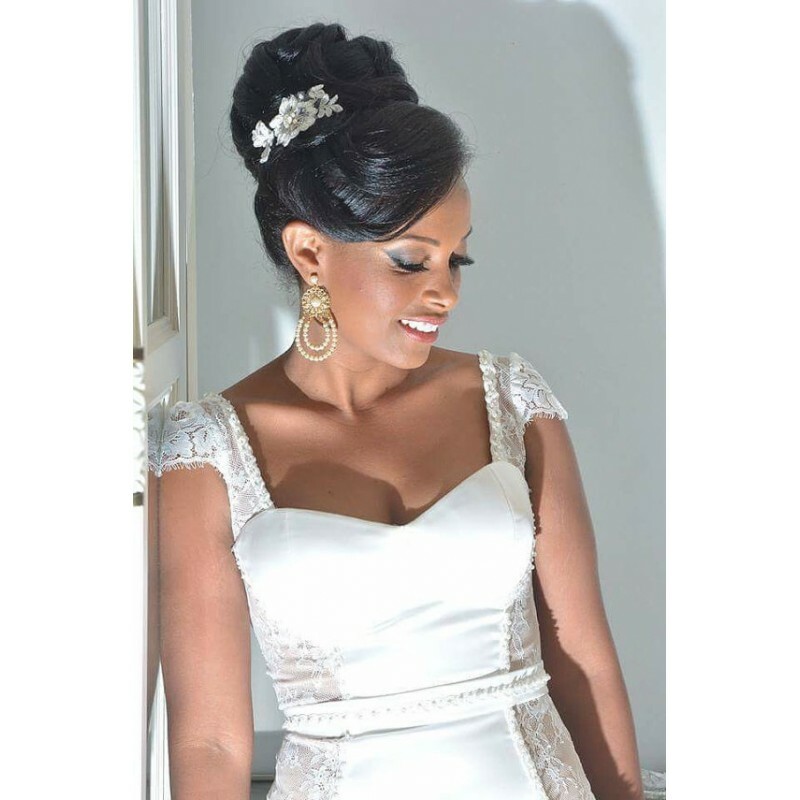 This special design is made with high quality gold plated and swarovski pearls. 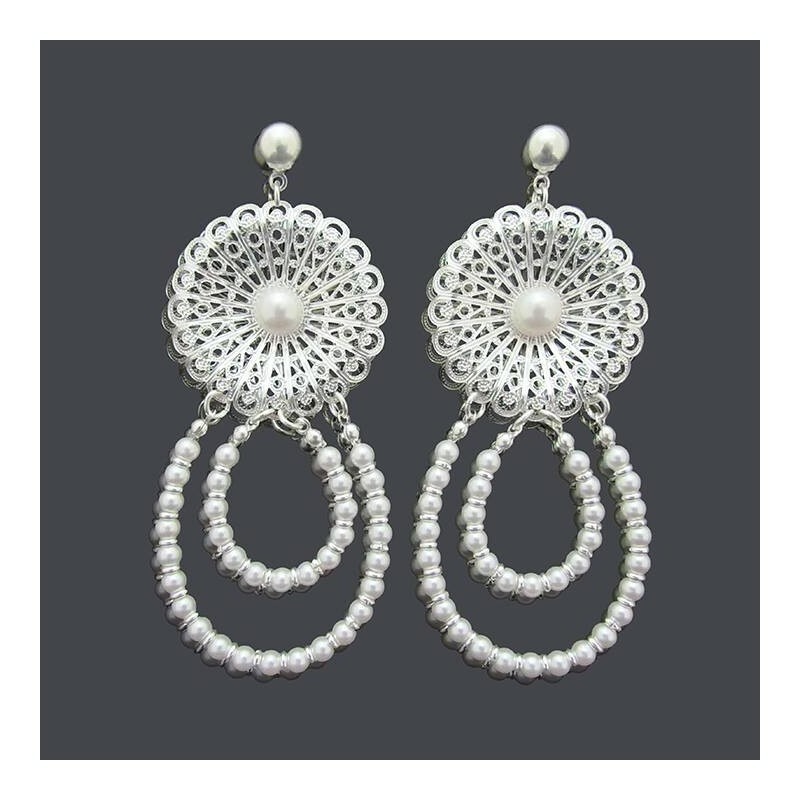 Big Chandelier earrings length: 1.9 inch / 5 cm approx. 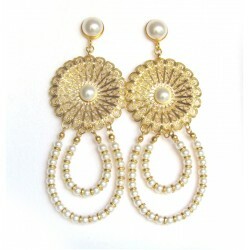 Large gold chandelier earrings, designed to be worn with glamor!